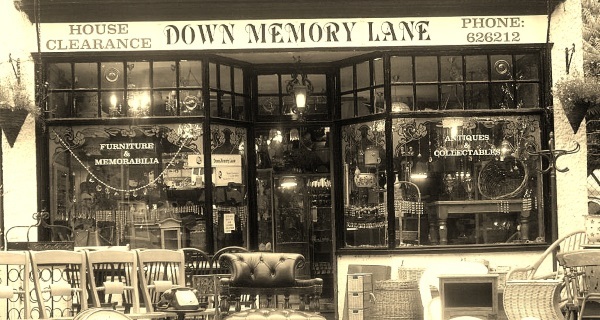 Established in 1996, Down Memory Lane is a family run business with a very loyal customer base. We pride ourselves on delivering a friendly and reliable service. Winter Opening Times are 7 days a week. An experience not to be missed, a pure wonderland of twinklement. 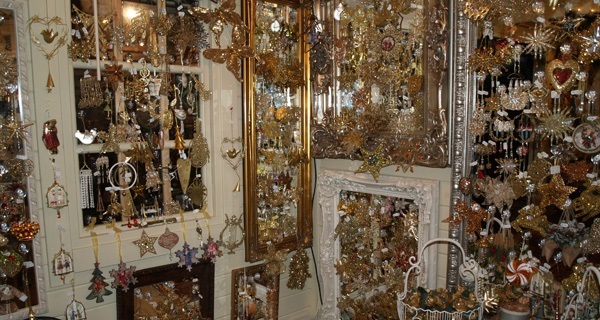 Amazing decorations, hand painted glass baubles, thousands of different items of stock beautifully displayed. Amazing quality at amazing low prices. Tucked away on a residential street, we are a little hard to find. Nevertheless, if you take a look on our contact page you will see our exact location. It really is an Aladdin’s Cave!!! "Oh my god if you're into Christmas you have to visit Down Memory Lane the Christmas extravaganza is amazing. I'm 42 but like a kid when I get into the shop literally not knowing where to look first. Everywhere you look there are trinkets, baubles and unusual pieces that make you start convincing yourself that you should keep them out all year round. 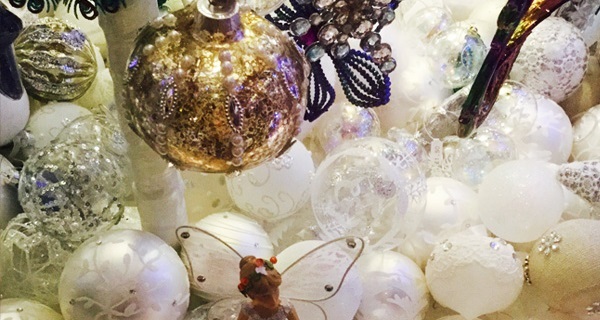 I love it all and try to visit every year which is probably why I now have three Christmas trees!" "A little gem hidden away. I had been told many times to go and visit Down Memory Lane as I had just moved to the area. I was looking for furniture, items and general furnishings for my new house, but I wanted to keep in the style it was built in, I couldn’t have asked for more. The friendly service from both George and Lin couldn’t have been any better; nothing was too much for them. The availability of times and days when items needed to be delivered made life so much easier. That was four years ago and I’m still going to look around and buy on a regular basis. It’s wonderful what you can find, and how the furniture is restored to such a high calibre. The shop changes with all seasons and celebrations. Christmas is amazing, decorations of all kinds and takes your breath away on the opening night. Decorated in a unique way, not just any Christmas Shop, it is The Christmas Shop!!! My Family love it and it has become something of a tradition for us to all go together. 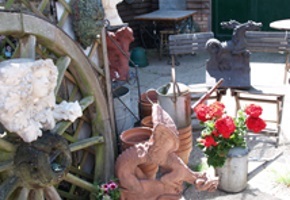 Not to forget spring and summer, lots of different ornaments for the garden along with garden furniture. The jewellery selection is fantastic, prices are marvellous, all sorts of individual items. What more can I say, but go along and have a look!!!! 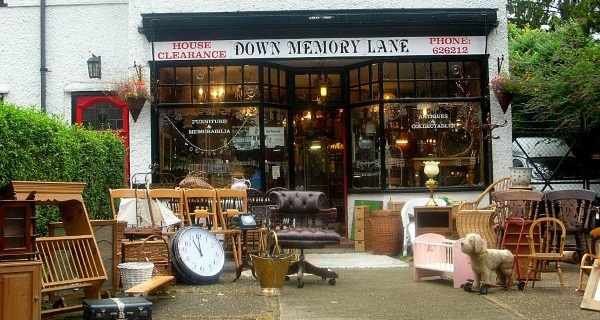 "I have to visit Down Memory Lane at least once a week because everything turns over so fast I’m afraid to miss one of Lyn and George’s amazing bargains. I love to visit on my way home from work as, for me, this is the best way I’ve found to unwind after a hard day. Lyn’s great eye and the reasonable prices mean that nothing hangs about for long so there’s always something new to look at." 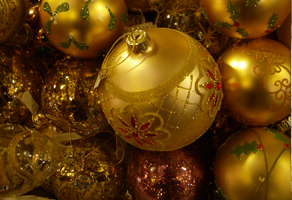 "Most people seem to know that Down Memory Lane is the place to go for wonderful Christmas decorations that are both out of the ordinary and also a fraction of the price to pay at any other shop. 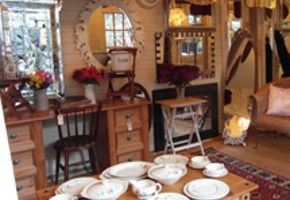 I don’t know however how many customers realise that this is place to visit all year round - an Aladdin’s cave crammed full of unusual artefacts, great for gifts or for treating oneself, and all at unbelievably reasonable prices." "Looking forward to it George, Selfridges, Liberty and Harrods Christmas shops are really boring this year, nice to have better on our doorstep."